ISBN 978 1 4088 5550 8. Many of my reviews are positive, sometimes ecstatically so. That’s not just because I have such a sunny temperament. Much of it is due to me having not a lot of time to read non-PhD-related books and so I tend to screen my books well and read books I suspect to be very good. However, sometimes, when a book had received enough attention or acclaim, or (I have to admit) when it happens to be unreasonably cheap, I pick up books I am less sure about. This is how I came to read Joanna Rakoff’s memoir My Salinger Year. I had not heard of Rakoff before, at least not as a writer. According to the flap, Rakoff has published a novel and several journalistic pieces but after reading this book, I’m not entirely likely to seek out more of her work. It’s not bad, per se, and since Christmas season is upon us, I have to admit that it would make the loveliest present for that friend in your life who used to read a lot but doesn’t really any more now. Because, really nostalgia for reading is what Rakoff trades in. 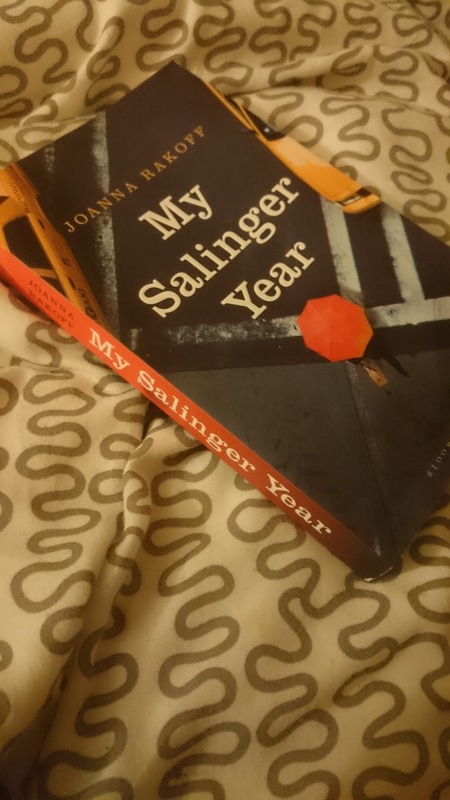 My Salinger Year is a nice book, a quick read, a book about a young girl’s experiences at a venerable literary agency in New York. The whole is a condensed Bildungsroman, containing personal growth and education on many levels, personal and professional, but it doesn’t read condensed. In fact, while I might complain about her writing in one of the following paragraphs, there’s an undeniable skill in writing a book that reads so easily, but which contains so much. Rakoff is clearly cognizant of literary traditions, and with My Salinger Year we are offered a very specific kind of text, executed with skill and a clear sense of priorities. Disappointingly, writing interesting prose is not one of them. But Rakoff’s book is so overdetermined and constructed that I could never shake the impression that the writing maybe was supposed to seem trite, that this was part of the overall idea. Of course, intentionally bad writing is still bad writing. Intent, to borrow a phrase from a different discussion, isn’t magic. The main appeal for me with the book is its structure. My Salinger Year begins with our heroine trying to make her way in New York. It’s her first day at an old literary agency, which, while she never names it (she prefers the expression “the agency”), is Harold Ober Associates. She is dressed in a conservative outfit that would not have been out of place on a secretary in the 1960s. She is performing a role, her “role being the Bright Young Assistant. The Girl Friday” – and at the same time, the book itself is similarly performing a role. Laura Miller has already unpacked the various literary sources for the story of the young girl coming to the big city. Miller points out how Rakoff constructs scenes in a way that mimicks literary precedent, and the book as a whole is cleverly constructed to appeal both to a sense of verisimilitude and to a literary sensibility. It’s no accident that the well worn phrase “[t]he Girl Friday” also doubles as the title of a screwball comedy that Stanley Cavell read as belonging to the so-called comedy of remarriages. In the world of the book, we will also find that Rakoff breaks up with a man who she ends up getting back together with. In a way, these early pages tell us, to quote Cavell on movies, how to look at them and how to think about them. The dense referential nature of the first couple of pages eventually lets up, leading into a more emotionally charged part of the narrative, but Rakoff has taught us early on how her book works, and at least for me, it became difficult reading the book’s characters, at least the ones not connected to the agency, as something other than ciphers. That might be one of the reasons for their lack of depth and interest. Only within the hallowed walls of the agency does Rakoff deliver characters to us that are believable, characters that can stand on their own without the artifice of sociocultural allusion. This is what she cares about: the world of books and writers. Look, maybe it’s just me, but halfway through My Salinger Year, as much of the artifice slowly falls away or is de-emphasized, Rakoff starts discussing tangible aspects of book culture with what feels like accurate veneration. Books as objects start turning up. 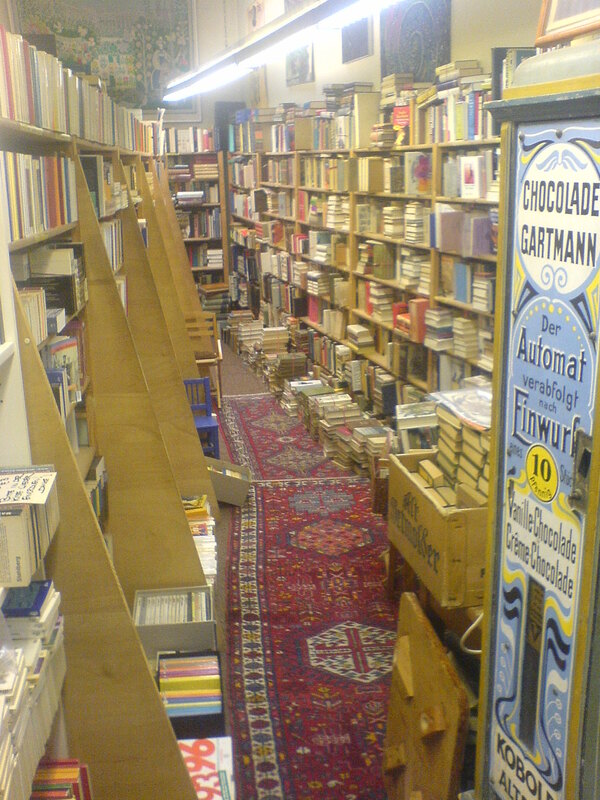 She sees them on shelves, she discusses spines, print, we are offered discussions and descriptions of different editions, unread books as well as tattered, yellowing, well-loved books. 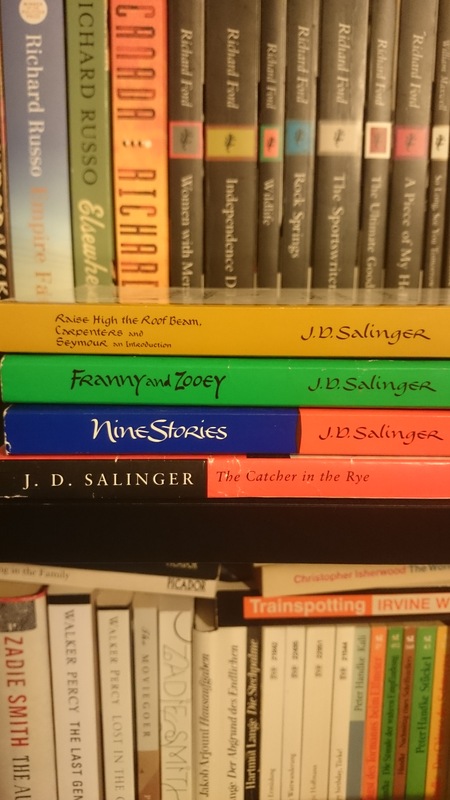 I love books, the tangible reality of them, and their reality is what keeps shining through the otherwise threadbare realities of My Salinger Year. Fittingly, the agency Rakoff interns at is so old-fashioned, they don’t even own a computer even though it’s 1995 already. All correspondence, all contracts, everything has to be typed up on a typewriter, and the only way to really contact the Agency is via letter or phone. The year Rakoff joins the Agency, it’s already a dinosaur, hopelessly behind the times and Rakoff’s arrival and influence leads to changes, including -hold on to your hats- the acquisition of a computer that’s even connected to the Internet. This makes the central conceit of the book (central at least according to the blurb on the back) much more interesting: Rakoff’s Agency is the one representing J.D. Salinger and while letters sent to Salinger via his literary agent did not reach him, they were also not unceremoniously thrown out. Instead, a person was paid to read them and reply using a form letter (which had to be retyped for every reply). During Rakoff’s ‘Salinger Year’ she was the one assigned this job. And that’s such an interesting idea. The materiality of writing that’s created by an environment where everything is typed, every letter, no matter how formulaic is inherently original, could have been very interesting, especially since Rakoff decided to answer some letters with more than the meagre handful of words she was supposed to use. However, while the letters keep coming up and the process of reading and pondering the letters is sometimes described in excruciating, redundant detail, Salinger’s letters are never really foregrounded. They are one element among many showing us the growth of young Ms. Rakoff. Dispensing wisdom to young fans becomes her main opportunity to shine a light on herself in a year where everything appears to conspire to make her feel bad about herself. Her boyfriend is a self centered macho writer who cares more about his unreadable and unpublishable book than he does about Rakoff, her (Polish) landlady expects her to freeze in the winter and wash dishes in the bathtub in the summer (and almost kills her with some sort of dubious Polish heater, because the book absolutely needed a picaresque, ridiculous foreigner), and the publishing world in general appears to be too sophisticated and complicated for the young woman. It’s an obvious Bildungsroman set-up and so nobody is surprised (or will be spoilered) when she powers through the difficulties and comes out a changed person, with a new lease on life and a different professional determination. While a 6,000 word piece on answering Salinger’s fan-mail might have been the start of this book, it’s not the actual focus. It’s Rakoff’s coming to terms with being a woman in the 1990s, a female writer. 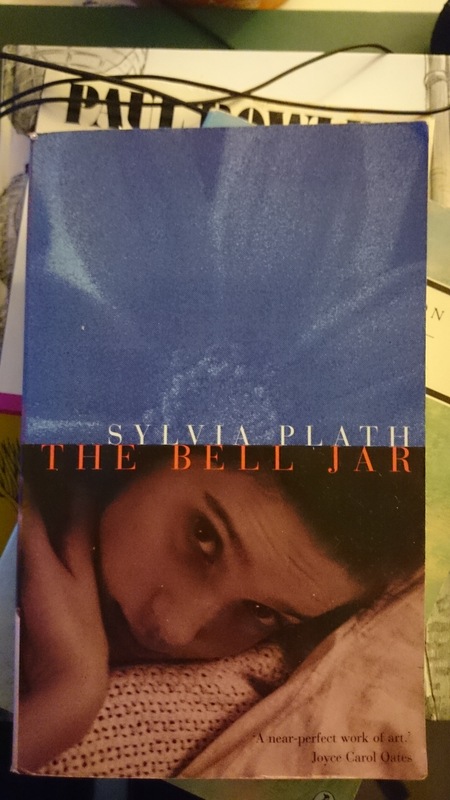 Of all the books mentioned by Laura Miller in her review of the book (see link above), the most fitting comparison to me- seemed to be Sylvia Plath’s The Bell Jar. Both show us a woman alone in New York, not part of a crowd, not part of a movement, just two young women, pursuing an internship and coming to terms with the world around them. Late in Rakoff’s book, she discusses the fact that women have limited choices, that they need to pick one path only. Publishing, books, life, I thought as I walked, through the cool air, up to the L at Third Avenue. It seemed possible to get one right. But not all three. Rakoff’s memoir is the bright eyed glowing opposite to this. For her nothing wrinkles, nothing goes black. In a way she has written the most classic of Bildungsroman stories, which tend to have men at their center. Like Wilhelm Meister she is inducted into the brotherhood (sisterhood?) of literary people after a year of obstacles small and large. That’s really an interesting aspect of the book. Despite its breezy shallowness and the flat prose, Rakoff pulls off something fascinating: she tells a story the way we expect men to tell them. She plops her character in the middle of a social context and doesn’t care about any of the connections. Near the end of the book, we are told about a weekend where she reads all of Salinger’s work and forgets about her boyfriend, and really about everything else. Reading this book is all that counts. The caricature of her Polish landlady is never really reflected on because why care? In the first half of the book, where the author drops names, quotes and comparisons to authors, books and movies in an almost stakkato like rhythm, the writer I was most reminded of was Bret Easton Ellis. 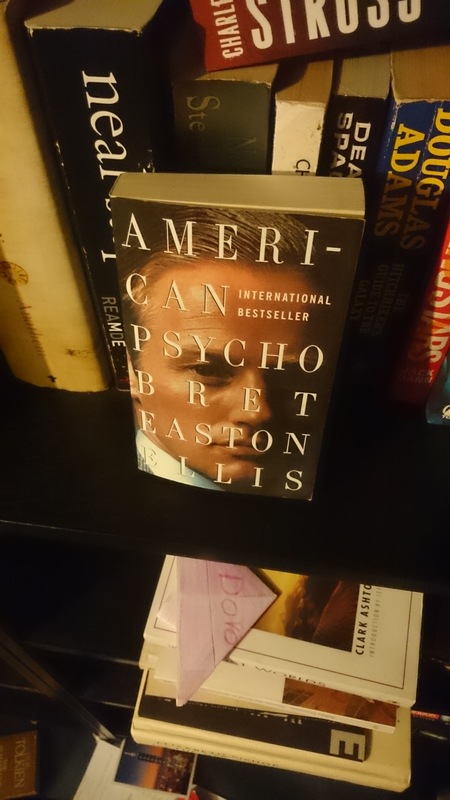 In books like American Psycho, Ellis perfected a prose that is simply woven, but uses the names and places of American culture as rhythmic emphases, as a kind of modern choir to follow his characters around, pounding on the drum of proper names and shared knowledge. It’s been pointed out a few times how Ellis’ technique corresponds to Saul Kripke’s theory of naming, how it relies on especially the cluster theory of names. The vacuousness at the heart of many of his characters is buffeted and replaced by the proper names of the world around them. The world’s signifiers revolve around Ellis self absorbed protagonists, and while these assumptions tend to work in favor of male characters in literature, Rakoff has employed this exact same technique, but without Ellis’ ear for rhythm. Yet doing all of this for a female character has extra resonance. This book would be much easier to dismiss had it been written by a man. The prose (A lot of dialog has the form of “…I said, nodding. …he said, sighing.” Or “‘Wow,’ I said. Hugh laughed. ‘I know, wow. 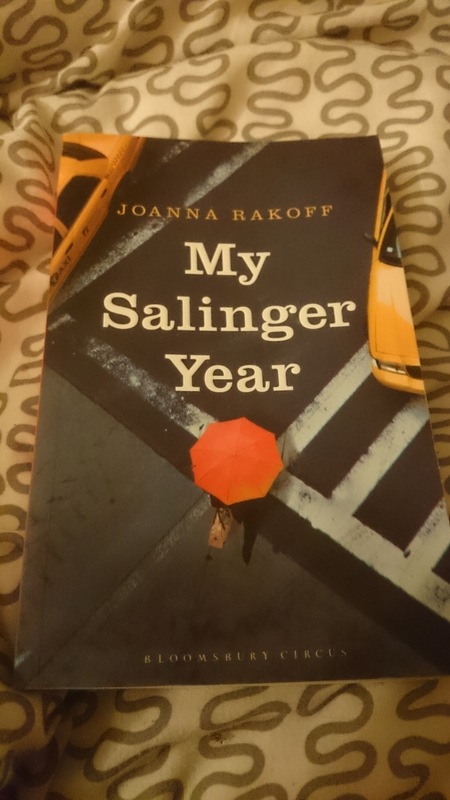 '” Or this happens: “‘Come in,’ he said and I did.” – there’s a lot of short sentences and cutesie observations (when Rakoff first hears the title of Salinger’s last published story “Hapworth”, she makes the following remark: “‘What’s ‘Hapworth’?’ It sounded mysterious. 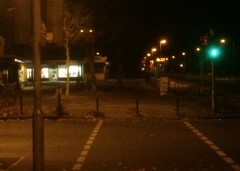 Like a secret agent’s code name.”) and the self satisfied wisdom alone are enough to stop me. But it’s not that easy. The Bildungsroman and the Ellis discussion are significant. One of the reasons why Plath’s figs shrivel and blacken on the tree is the pressure on women to conform. Plath’s character turns to thoughts of self harm to relieve the pressure. Rakoff, a comfortably middle aged woman, wrote this book with the gift of hindsight, pointing out the different situation her 23 year old self was in compared to the canon of young women coming to the big city. Mary McCarthy, Sylvia Plath, Elizabeth Bishop and many others had peculiar troubles. Rakoff’s decision to place her memoir so explicitly both right in the middle of and between broad strands of tradition highlights everything that changed – and the things that have not changed. Two male authors in the book use their fiction to (imaginatively) violate women who wronged them, and Rakoff shows us how this impacts the discursive atmosphere. All of this is interesting and the book is an engaging read and I wish those things had come up in an overall better book. There is nothing at stake, there is no abyss, no real trouble drawing us in. 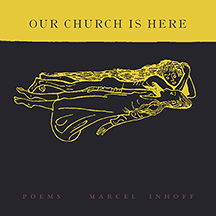 I already mentioned the prose, which, unbelievably, was written by a poet (click here or here for some of Rakoff’s poems). Yes, it’s interesting that Rakoff copies and differently applies masculine self absorption, but that doesn’t make that insouciance a better read. In the end, I have to come back to what I said in the beginning. If books are something that’s important and vital to you now, if writing and thinking excites you still, skip the book. But you might know people whose passion for books never went away, instead it hardened and you can still see it in them, like Han Solo in his carbonite imprisonment. This book is perfect for those friends. It trades in nostalgia, it’s genuinely besotted with books, and it rewards knowledge of literary tradition. One of my favorite poems about New York is this one.